Sterling Silver Jewelry Lovingly Hand Made. 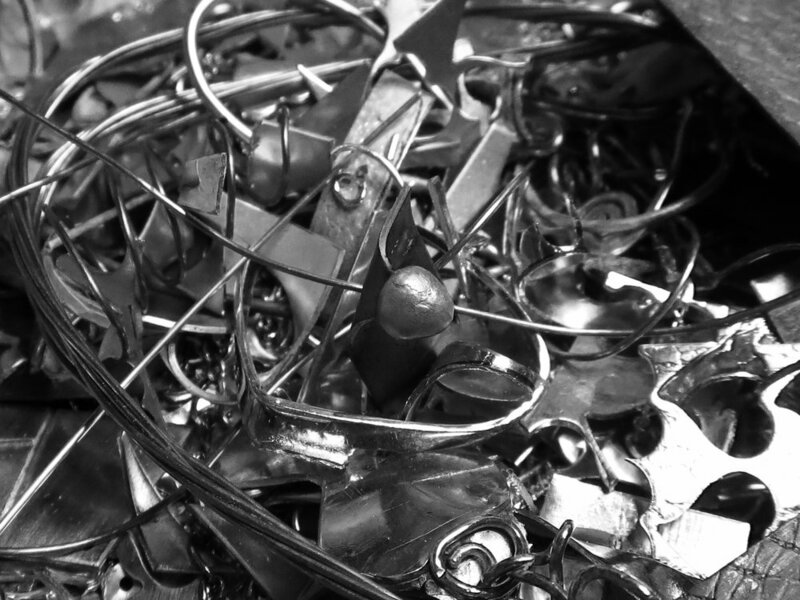 . .
A pile of rough loose pieces. . . bent, melted, molded, cleaned, sanded, polished, formed, pressed. . . made into something beautiful in the artist's hands. . . This is what I do with metal, this is what God does in me. So, once my son had finished college, and with my husband's approval, I left a field that paid well but was trying to put me into an early grave. I struggle as an Artist, my Mom would tell you I've always had a creative side, but Art does not come naturally to me - even my stick figure people aren't good. I took a classes from a Silversmith for a time, and learned many basic techniques (I still have much to learn)... my hobby got out of control, and thus this business was born. I'm a terrible sales person, I couldn't sell water to thirsty people in a desert (sigh). I'm not only lousy at selling my jewelry, I'm lousy at selling "myself" (getting into art shows requires this). My health prevents me from traveling to art shows far from home, this severely limits my ability to get out and sell my goods - so this web site was born. Back to not being a typical artist, I say that because I approach my art with a very wide variety of interests & constantly wanting to pursue new things. I've been told that some of my struggles to get into art shows are due to this, though my work has "themes" my body of work doesn't come across as a cohesive whole (sigh) - so even the art world has its rules, and apparently I don't follow the rules. With Silver I found I could create beautiful things, this makes my heart happy. In creating this web site I hope to be able to sell enough to keep my business afloat (so I can keep making things of beauty), and to be able to show my art (such that it is) to those who like to look at shiny objects.